Obituary for Thanh Pham | Donaldson Funeral Home of Clarksville, P.A. THANH PHAM, 76, of Laurel, MD., was born in Hue, Vietnam in 1942. He was the eldest child of Xung Pham and Lai Phan. He passed away peacefully at home, surrounded by family, after a brief battle with cancer. Thanh was the devoted husband of Phi-Hai, beloved father of Thuy (Adam) and Doan (Chris), cherished grandfather of Caleb and Alexis, and uncle to many nieces and nephews. Thanh was preceded in death by his father, mother and younger sister Lien. 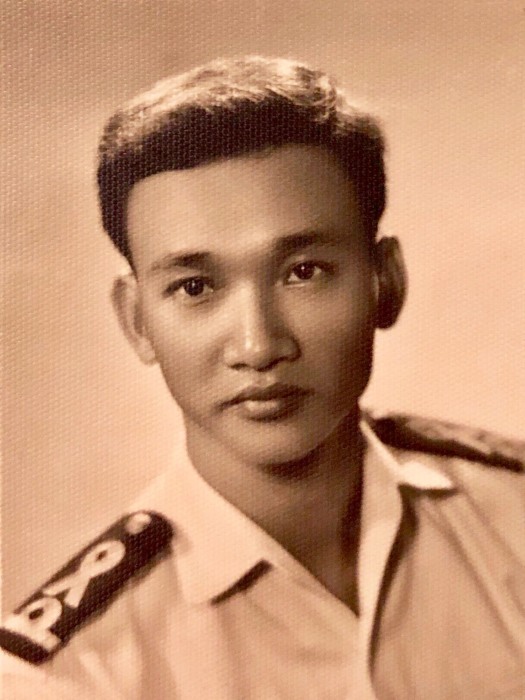 Thanh attended the Naval Academy of the Republic of Vietnam. He graduated from the 13th Class of Naval Officers in 1964, eventually rising to the rank of Lieutenant Commander. During wartime, he was the commanding officer of several ships in the South Vietnamese Navy, the last being the HQ14. After relocating with his family to the United States in 1975, Thanh attended Wilkes University and earned his Bachelors of Science degree in Electrical Engineering in 1980. Thanh had a long and exemplary professional career, working at Harris Corporation, Arinc, and Inovalon, supporting many defense and health related projects in service to our nation. Thanh enjoyed traveling the world with his wife of 46 years, spending time with his large group of friends and Navy comrades, and of course, spoiling his two grandchildren. He was extremely active, and loved biking to the beach near his home in Annapolis and practicing the art of Tai Chi. Furthermore, he had a strong love of learning and continuously taught himself a wide-range of subjects including several computer programing languages, photography, and guitar. In his spare time, he also enjoyed writing poetry and historical moments captured in his blog. Most of all, Thanh treasured his family and friendships made throughout the years - his love, guidance, infectious smile, strength and humility will be dearly missed.